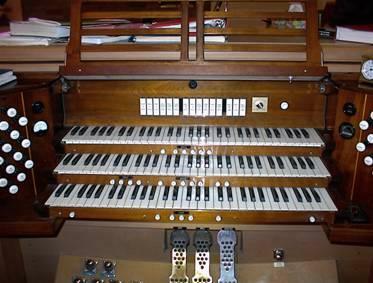 The console of this 1954 Casavant organ was renovated in 2004, including installation of a new solid state multiplex relay and combination action. 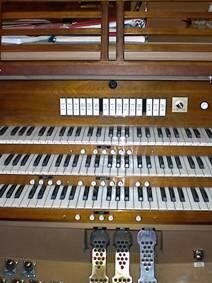 The electropneumatic expression engines were replaced with new electric action equipment. Four sets of metal pipes that had pierced wooden stopper handles were repaired, and new felted metal caps with exactly matching chimneys, were constructed to improve tuning stability.